PL Fallin Photography: Chipmuck to the Squirrel "Don't eat that Mushroom!" Chipmuck to the Squirrel "Don't eat that Mushroom!" 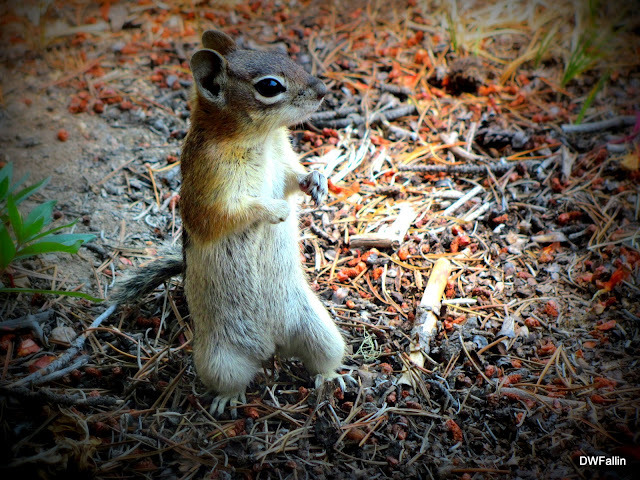 I learn something new about friendly trail critters while hiking in the Rocky Mountains. I saw a squirrel eating a white mushroom. I just thought that was unusual but I guess acorns are hard to find when there are more pine trees than hardwood trees so edible mushrooms it is. 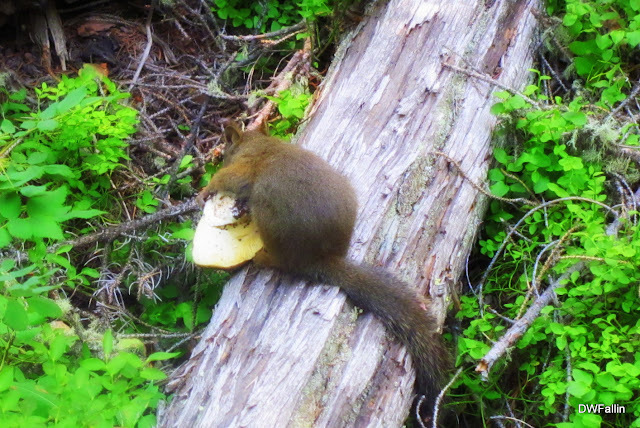 This squirrel had a large mushroom to carry. I don't know how he will store it up for the winter. Mushrooms rot once they are pulled. Chipmucks like candied dry fruit from trail mixes. That also surprised me.